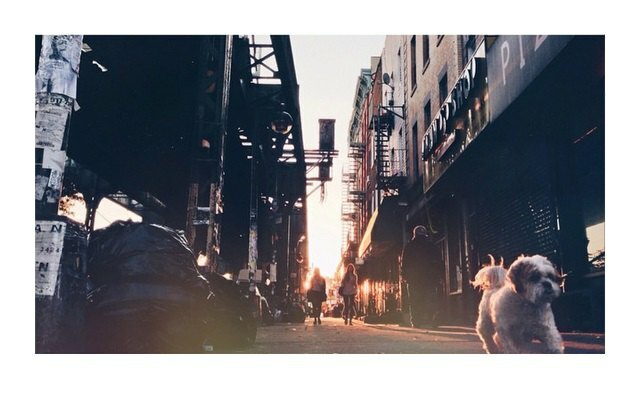 A lot has been written about the insufferable rents of Brooklyn, with a particular emphasis on our neighborhood, Bushwick. As a rule of thumb one can say that the closer to Manhattan, the higher your rent will be. But is that always true? The short answer is yes. However a detailed look at a rent map subway stop by subway stop along the L and JMZ trains created by real estate website BrickUnderground suggests several unexpected elements. Who would have thought that living off the Graham stop is cheaper than living off Morgan? Then the Graham stop in itself looks like a "mini-oasis" in the overpriced land of Williamsburg. Another interesting element is that Jefferson is more expensive than Morgan these days. Naturally, Jefferson is a great stop to live off -- it is residential with a proximity to all the new restaurants, but still... Is Morgan losing the status of a Bushwick's Champs-Élysées? 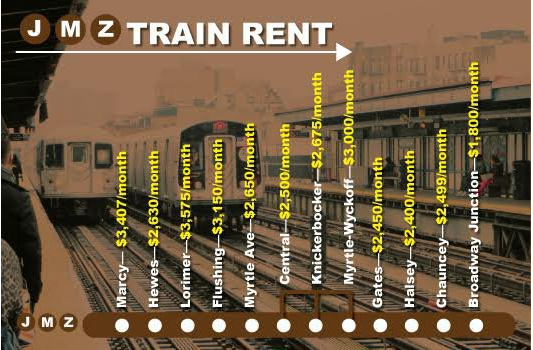 On the JMZ line, avoid renting off Knickerbocker Ave because strangely it is more expensive than living off Myrtle Broadway or Central Avenues, which are stops closer to Manhattan. If you really want a cheaper rent, live off Halsey JMZ stop! The difference between rents off Myrtle Wyckoff and Halsey is approximately $1,000, which is a quite significant jump. 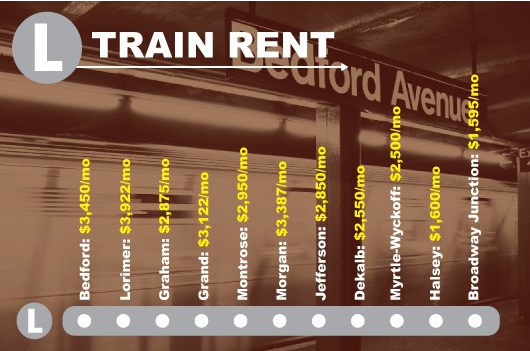 Interestingly, the prices along the L and along the JMZ train don't differ significantly, despite the notoriety of the L train being the "cool Brooklyn" train (although locals know that JMZ trumps the L). BrickUnderground used the total median rental price within a five-block radius of each stop based on active listings for May 2015 provided by Streeteasy.